Researchers have developed an optical fibre probe claimed to distinguish breast cancer tissue from normal tissue, an advance that could allow surgeons to be more precise when removing breast cancer. The device, developed at University of Adelaide, could help prevent follow-up surgery, which is currently needed for 15-20 per cent of breast cancer surgery patients where all the cancer is not removed. 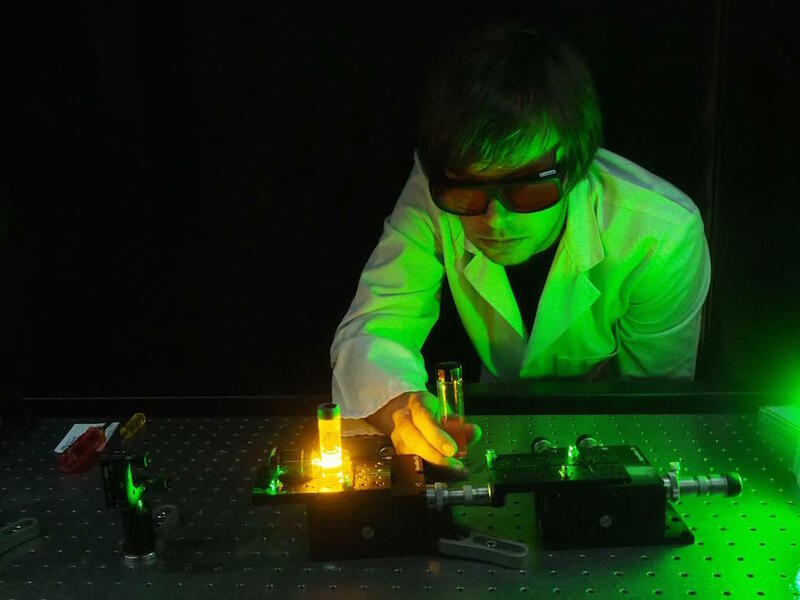 Published in Cancer Research, the researchers at the University’s ARC Centre of Excellence for Nanoscale BioPhotonics (CNBP), the Institute for Photonics and Advanced Sensing, and the Schools of Physical Sciences and Medicine, describe how the optical probe works by detecting the difference in pH between the two types of tissue. The research was in collaboration with the Breast, Endocrine and Surgical Oncology Unit at the Royal Adelaide Hospital. According to the University, current surgical techniques to remove cancer lack a reliable method to identify the tissue type during surgery, relying on the experience and judgement of the surgeon to decide on how much tissue to remove. Because of this, surgeons often perform ‘cavity shaving’, which can result in the removal of excessive healthy tissue. And at other times, some cancerous tissue will be left behind. “This is quite traumatic to the patient, and has been shown to have long-term detrimental effects on the patient’s outcome,” Dr Schartner said in a statement. The optical fibre probe uses the principle that cancer tissue has a more acidic environment than normal cells; they produce more lactic acid as a by-product of their aggressive growth. The pH indicator embedded in the tip of the optical probe emits a different colour of light depending on the acidity. A miniature spectrometer on the other end of the probe analyses the light and therefore the pH. “How we see it working is the surgeon using the probe to test questionable tissue during surgery,” said Dr Schartner. “If the readout shows the tissues are cancerous, that can immediately be removed. Presently this normally falls to post-operative pathology, which could mean further surgery. The researchers currently have a portable demonstration unit and are doing further testing. They hope to progress to clinical studies in the near future.